New to The South of the James Market this year is La Bella Vita Bakery owned by Adam, Andrew and Steven Serafim. This small-scale Ashland bakery specializes in artisan breads and desserts made with high quality ingredients. Their emphasis on local markets enables them to produce the freshest baked goods possible without the use of any preservatives. Read on for some Q&A with La Bella Vita Bakery and for one of their favorite recipes. Their love for good food is a 50 year family tradition and they love to share it! 1. When & how did you get started? 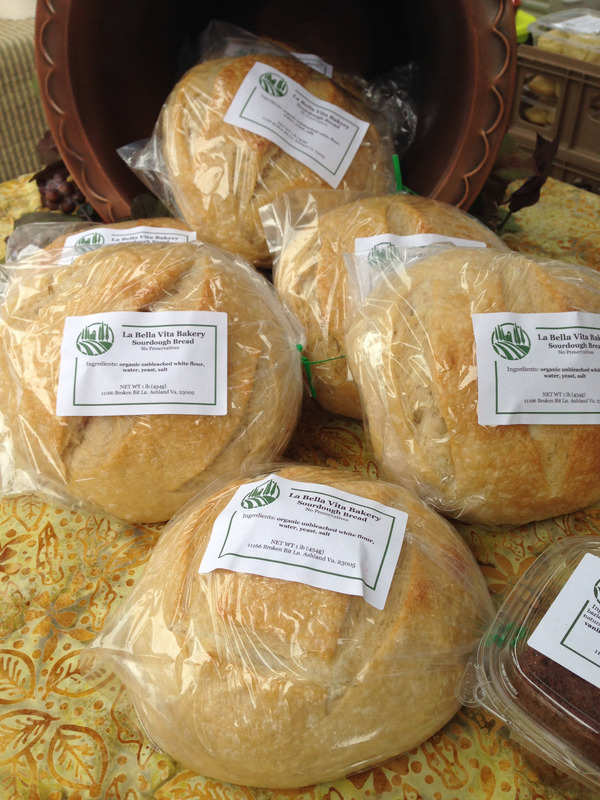 In 2012, La Bella Vita Bakery got started as a means of offering artisan baked goods to locavores through farmers’ markets and independently owned retail locations. In our family, food has always been an important means of communication and sharing our love for one another. Our business is really an extension of that same ideal as we hope to help foster a strong sense of community through sharing our passion for food. We began using the ovens in our home kitchen and have grown and expanded (thankfully) into a certified kitchen that was constructed specifically for the bakery business. Each day brings exciting new potential! 2. When you’re not vending at the farmers market, what do you spend your time doing? 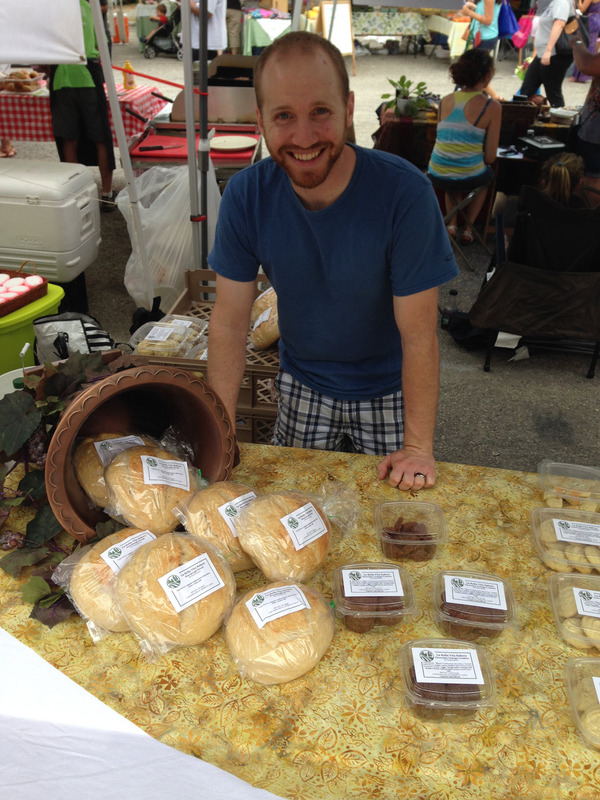 When not at the market or in the kitchen, Adam is often found spending time with his wife and family (including two Bichons…Oscar and Chloe) and studying for school as he comes closer to completion of his business degree at the University of Richmond. Andrew is often found working on his next artistic inspiration as he continues his study of fine arts at VCU. He also works at Whole Foods where he hopes to make an impact in furthering the importance of the local food movement. Steven has always excelled in creating and crafting innovative and practical ways of achieving goals. He’s intensely interested in exploring ways in which to optimize his land in a way that reflects sustainable stewardship. Whether in or out of the kitchen, the focus is good food with these guys. That said, farming is an endeavor of great interest to all three as good food begins with ingredients with integrity! 3. What three words would you use to describe your products? 4. What’s something about you or your business that people might find surprising? The sourdough starter that we use dates back to 1847. The age of the starter when coupled with a delayed fermentation technique helps us to develop character and flavor in our sourdough bread. 5. Do you have a favorite recipe that uses one of your products you would like to share with customers? One of our favorites is french toast. Our sourdough bread serves as an excellent base for this classic dish. In medium size mixing bowl, whisk together the milk, eggs, honey, and salt. You may do this the night before. When ready to cook, pour custard mixture into a pie pan and set aside. Over medium-low heat, melt 1 tablespoon of butter in a 10-inch saute pan. Place 2 slices of bread at a time into the pan and cook until golden brown, approximately 2 to 3 minutes per side. Remove from pan and place on rack in oven for 5 minutes. Repeat with all 8 slices. Enjoy with maple syrup!